They’re finally here! 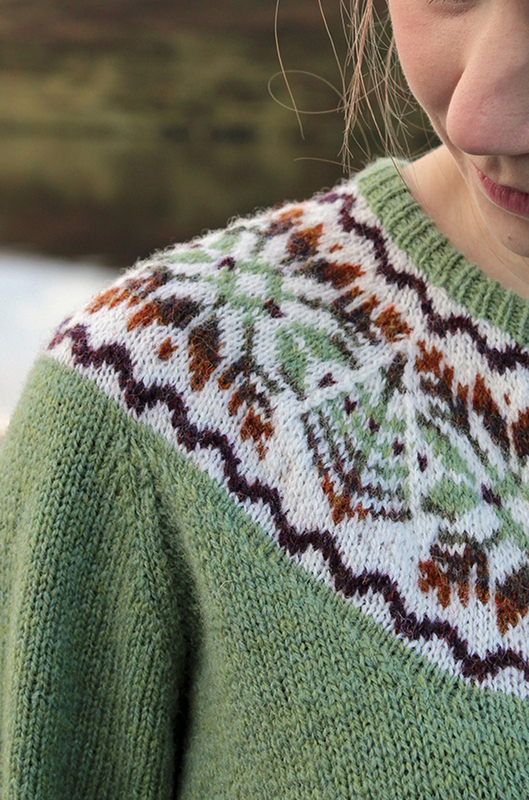 After many months of designing, knitting, writing, editing, test knitting, checking, checking and checking again then printing, our shiny new patterns have arrived back to J&S and are available on our online shop as kits. Sandra constantly has new knitting ideas popping into her head that she tries out on new designs in all different shapes and sizes such as her last patterns the Sheep Cushion, Monster Mitts and Monster Muff. 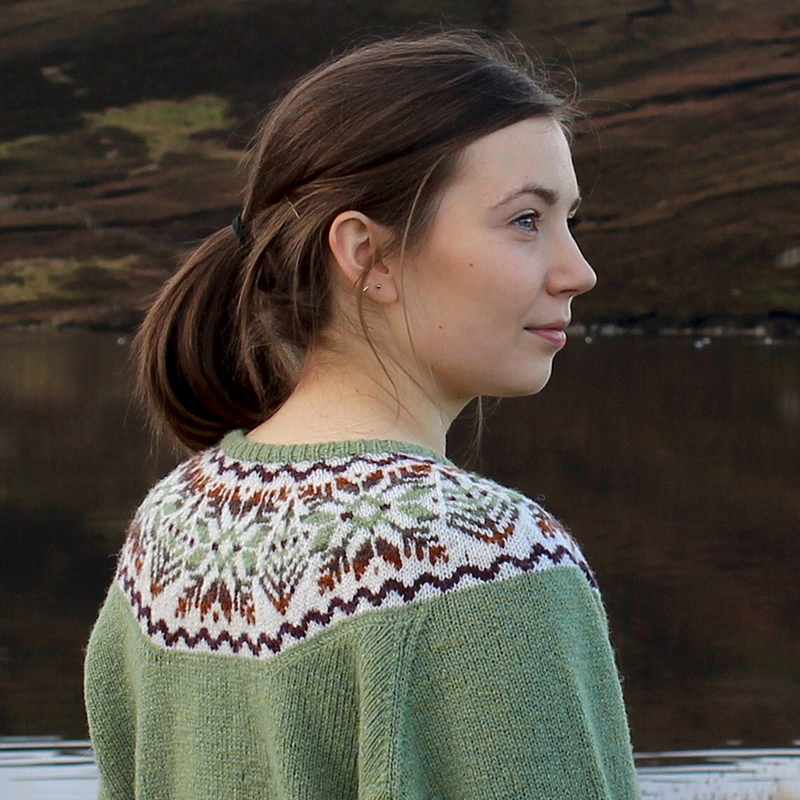 The following four new designs reflect a broad range of her designs; featuring Fair Isle, lace and cable knitting techniques and various weights of yarn. 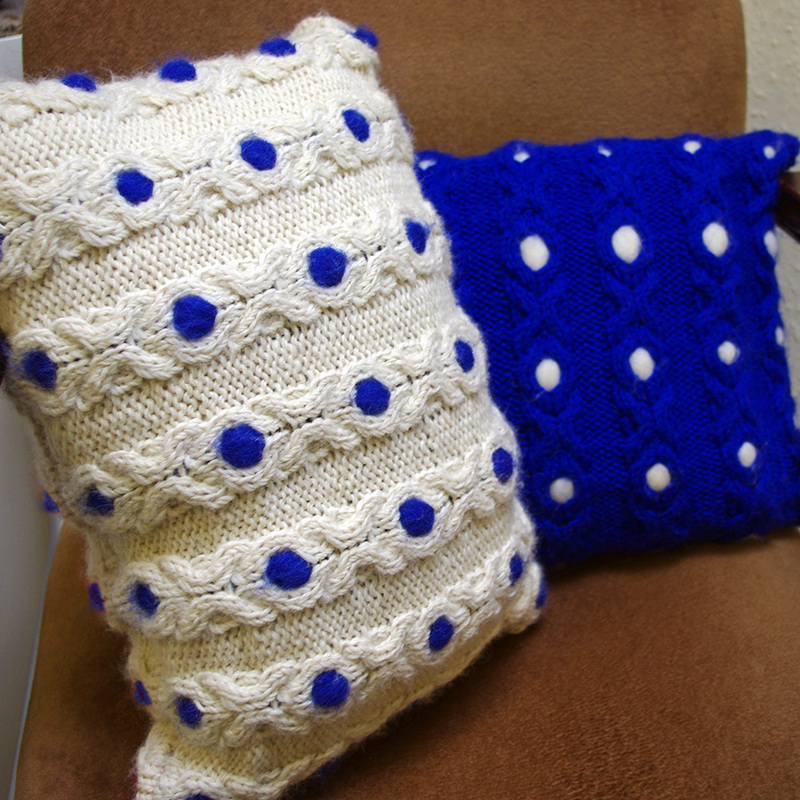 Sandras Noughts and Crosses Cushion uses the worsted spun Cushion Yarn used in the Shetland Flag Cushion, this unique cabled design which is inspired by the OXO Fair Isle patterns has holes in the cablesfor you to pull through Shetland Comb Tops which gives the cushion texture and a bit extra squash. You could use any colour of Comb Tops to co-ordinate with any colour scheme or leave the holes empty on one side for a more subtle effect. There are lots of possibilities! You can find the Noughts & Crosses Cushion here. The Lace Ella can be made using two of our newest yarns, Shetland Heritage and Shetland Supreme Lace Weight, this warm but surprisingly lightweight jumper features lots of different lace patterns on the front and back, with a beautiful lace patterned V on the back, and the sleeves have a classic lace motif all over. 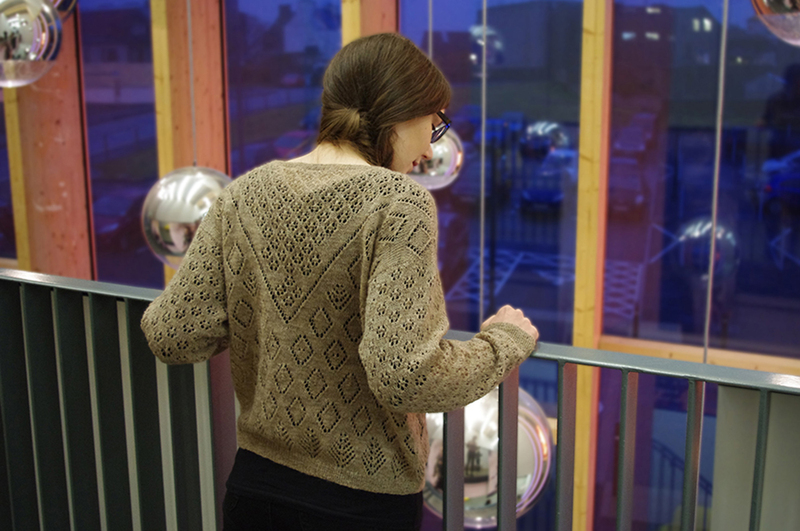 Sandra was inspired by a popular lace pattern from the 1970s and 80s in Shetland in which a signature lace V on the back was knitted by a particular knitter and any cardigan or jumper was known to be knitted by this one knitter, this is Sandra’s interpretation of this classic style. You can find the Lace Ella here. 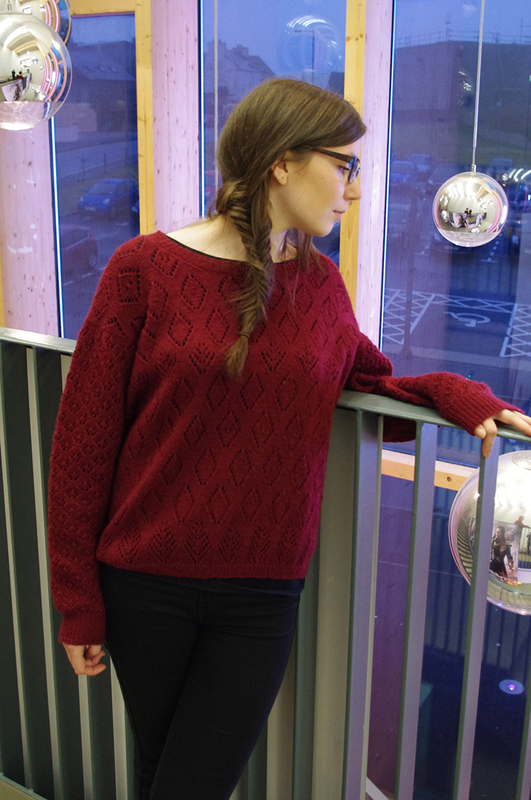 The Aran Star Jumper has a retro feel, Sandra was inspired by Vintage patterns to create a modern version of the jumpers you used to see all the time in Shetland. 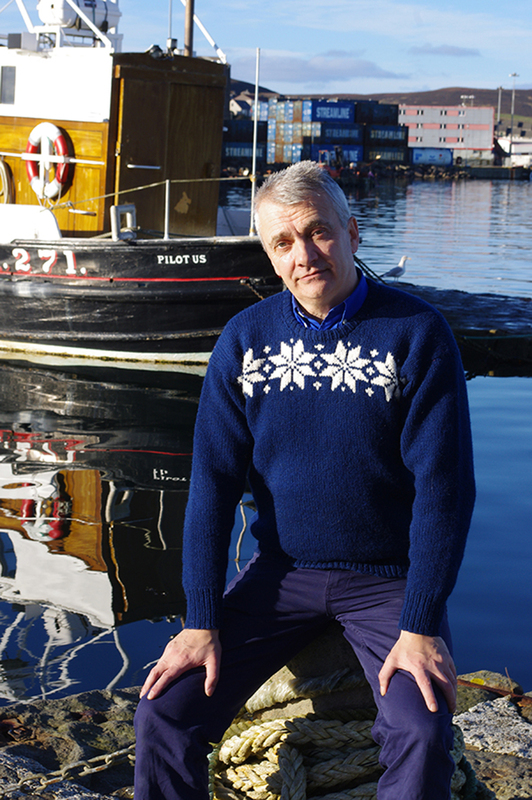 It is quite a simple design but with the bold Norwegian star its very effective, using the Shetland Aran it makes a very warm and cozy jumper for this time of year. 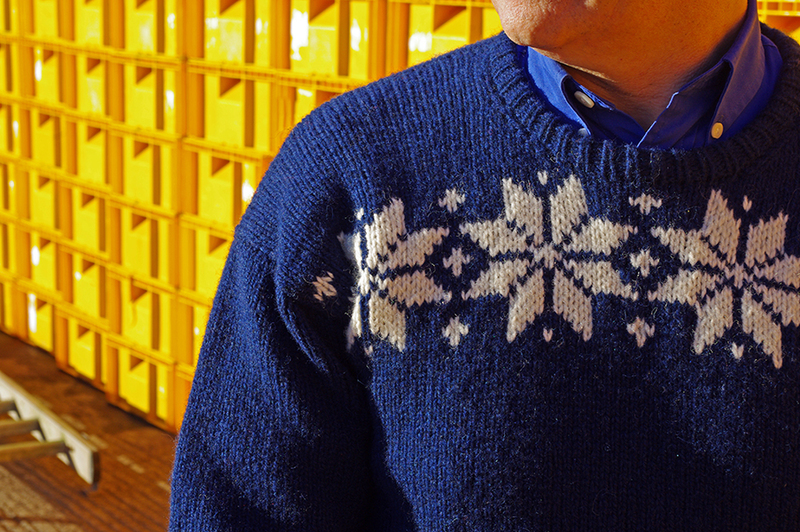 The simple Fair Isle motif and thicker wool makes this pattern a good choice for beginners. You can find the Aran Star here. 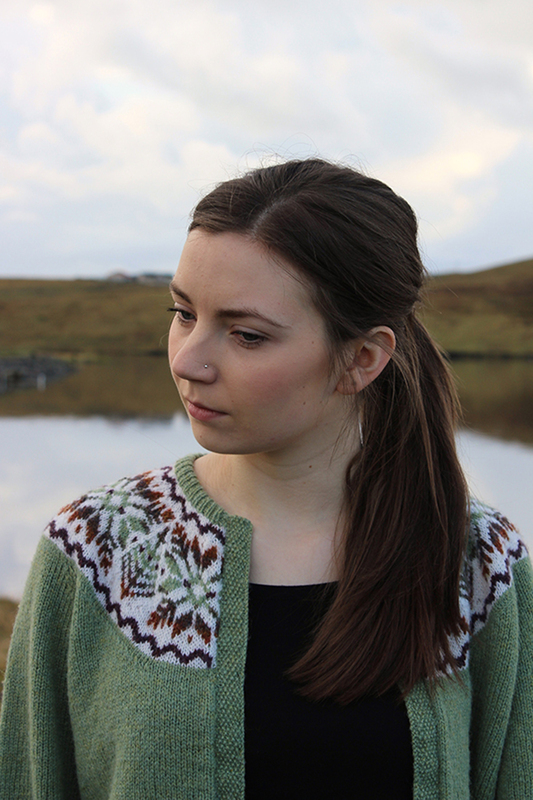 Fair Isle Yoke cardigans are a classic in Shetlands knitwear history, and now we have a J&S version, Sandra used a beautiful palette of subtle but bright shades of Jumper Weight, we called it Hairst which means Autumn in Shetland Dialect, the classic Norwegian star and tree motif has always been passed down from family to family and with the resurgance of the popularity of Fair Isle Yokes Sandra finally wrote down her technique to pass on to you. The pattern is written with both working flat and in the round as options so you can make the Cardigan in your favourite way. You can find the Hairst Cardigan here. 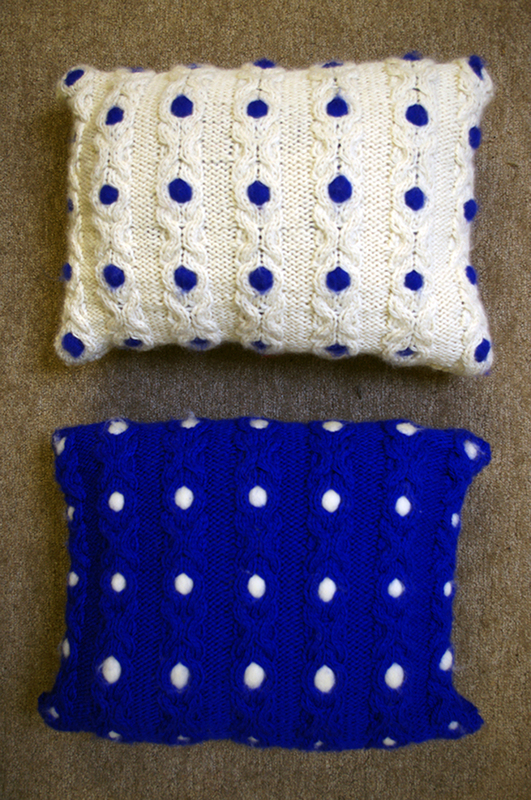 As an extra little gift all orders up until and including Friday 20th December for these new kits come with a free J&S Big Project Bag to keep your knitting tucked up in. Question. I see these sweaters have a small bust size are you offering a size or 2 up? 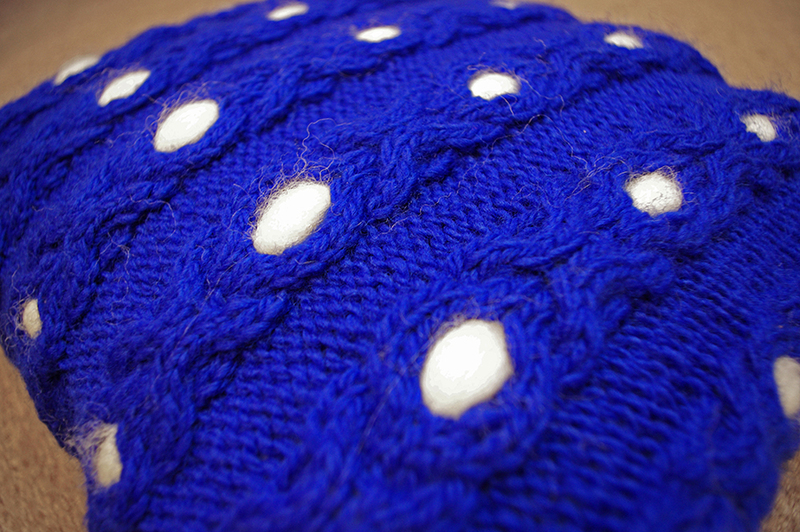 Or adapting the pattern to a larger size? Are you just going to sell the pattern so we can change the colours etc.? Congratulations Sandra. 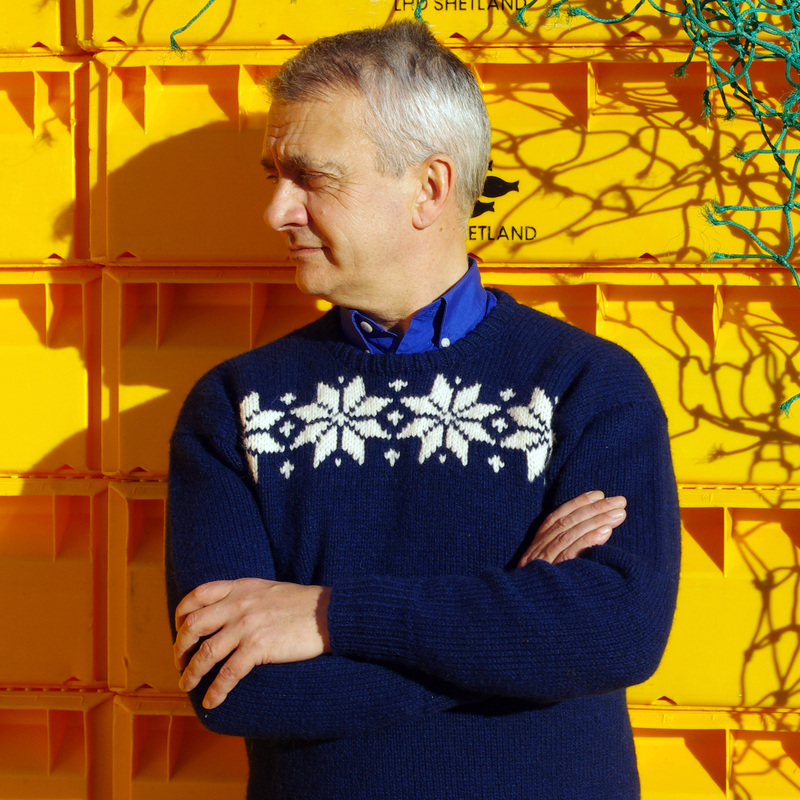 I believe innovative design is what keeps this sector of the industry vibrant and alive. Thank you. I have only just come across this blog post – very interesting. 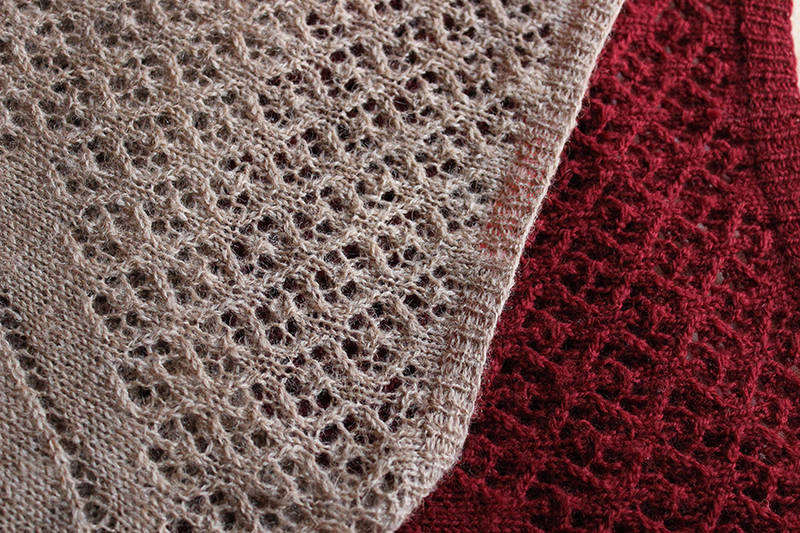 I have one of the original lace cardigans with the ‘V’ on the back! It’s still going strong after all those years, although it has shrunk a bit (…or have I expanded a bit?! ).